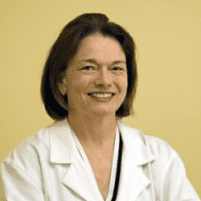 Dr. Patricia Kavanagh always appreciates feedback from her valued patients. To date, we’re thrilled to have collected 5 reviews with an average rating of 5 out of 5 stars. Please read what others are saying about Dr. Patricia Kavanagh below, and as always, we would love to collect your feedback. In all my years of being evaluated by various physicians, physical therapists and occupational therapist, I never had a session comparable to the one today with Dr. Kavanagh. She and Jodi, her assistant, made me feel very comfortable even when I was sitting there without my shoes and socks. When I was hesitant about a particular procedure, Dr. K explained it, again, and then said think about it. Was I in the office a long time? Yes, and it was well worth it. Great experience! A knowledgeable and caring doctor. Dr. Kavanagh was very thorough and polite during my Mom's appointment. She was attentive and expressed genuine concern. Her office is conveniently located and clean and the reception staff was very polite. A very good experience!